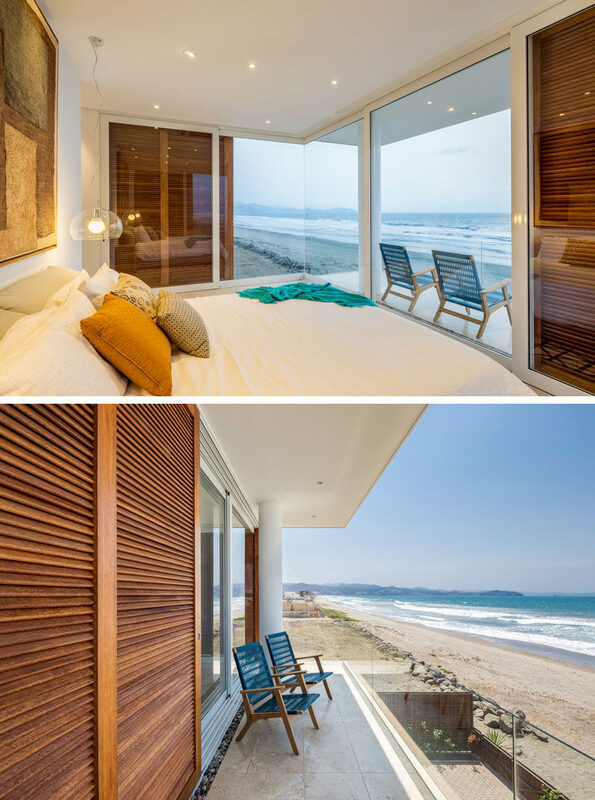 Gabriel Rivera Arquitectos have designed a modern home right on the beach in Puerto Cayo, Ecuador. 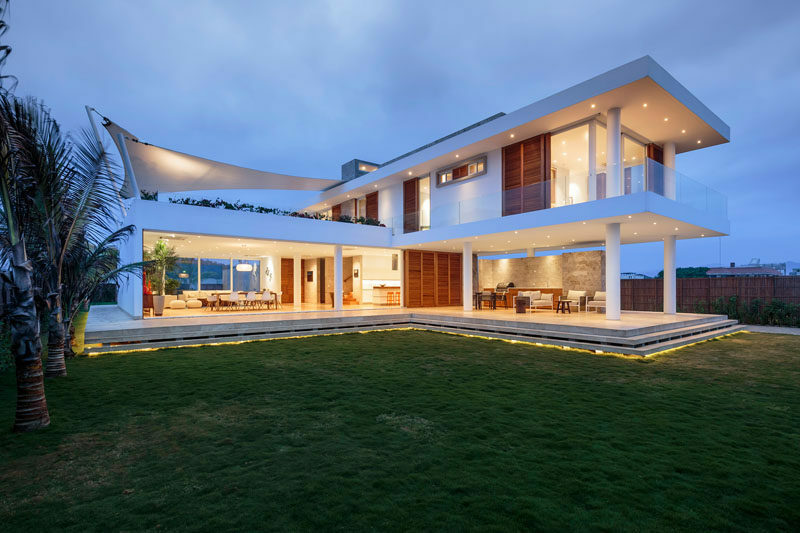 The house is organized in an L shape, with one side pointing towards the beach, and the other containing the social areas of the home. The exterior of the home naturally suits the landscape around it by having a material palette of white, wood, and stone. At night the residence lights up from all angles creating an ethereal effect. A stone walkway brings you to the front of the home where you can enter through the front door or the sliding patio doors. 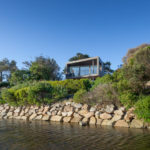 The patio can be enclosed by glass doors, and for extra security when the home owners are away and to protect the interior from the sun, wood brise-soleils covers slide over the glass doors. 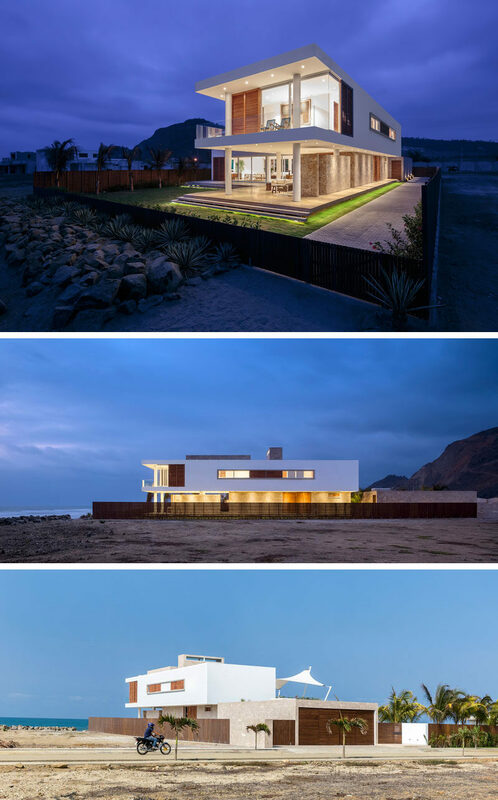 The placement of the house allows it to have a large lawn and direct access to the beach. 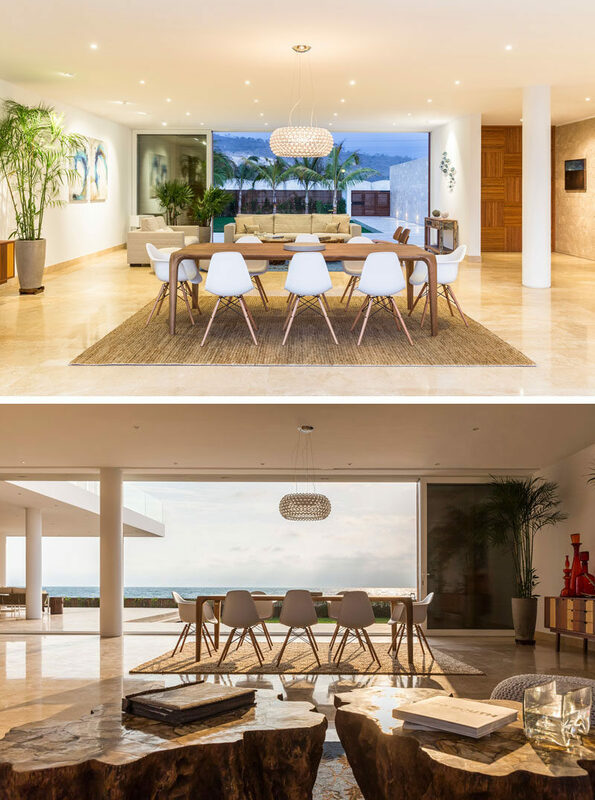 Heading inside, the dining and living room have a breathtaking view of the water. The combination of white, stone, and wood are used again inside the home to create a cohesive design. 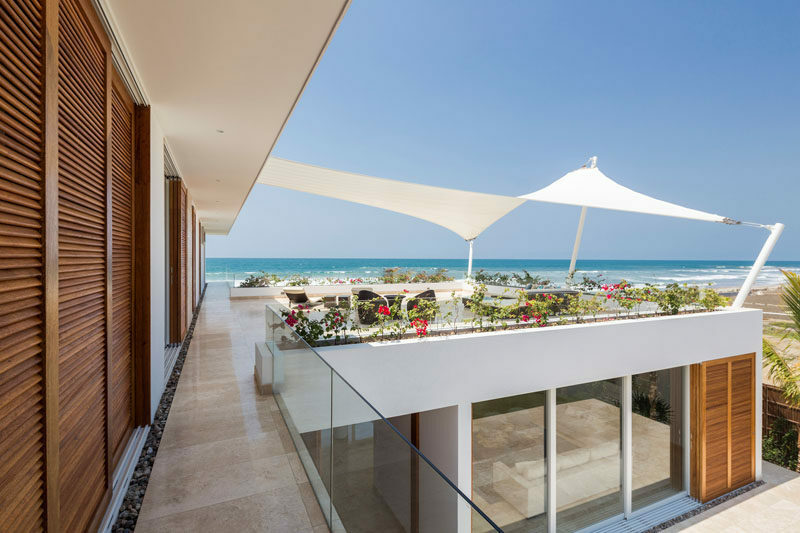 On the upper floor of the home, there’s a covered patio area that’s protected from the sun by a shade sail. Simply decorated, plants surround the common area creating the effect of a railing-less deck.